The plot of Enough Said immediately reminded me of the 2005 movie Prime, where Uma Thurman, a therapist, is dating a younger man, and soon learns that he's the son of one of her patients - yet she doesn't tell the patient this right away. In this film, Julia Louis-Dreyfus plays a masseuse who later finds out that the ex-husband of one of her clients is the man she's currently dating (James Gandolfini), but she's so curious for gossip and information about him that she doesn't tell her client this at first either. Enough Said has a lot of heart, however, and it's also a bittersweet movie, since I believe this was James Gandolfini's last performance before he passed away this year. Eva (Louis-Dreyfus) is divorced and has a daughter who is leaving for college in the fall. She goes to a party with her friends Sarah and Will (Toni Collette and Ben Falcone) and she meets two interesting people there, at separate times: Marianne (Catherine Keener), who is interested in hiring her as a masseuse, and Albert (James Gandolfini), a big teddy bear of a man who makes her laugh. 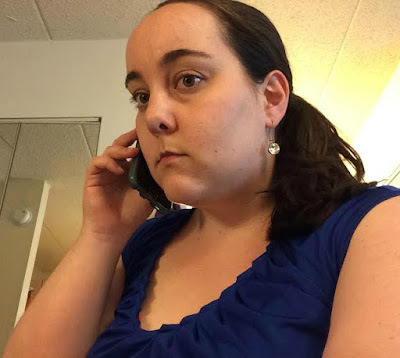 A few days later, Sarah tells her that Albert wants her number, and she adopts a "why not?" attitude and gives it to him. They soon find out they have a lot in common - he's divorced too, and also has a daughter about to start college - and their relationship is going well until Marianne, who always puts down her ex-husband, makes a comment that has Eva connecting the dots: Albert is Marianne's ex. Eva tries to navigate around this, even though she knows that she should break off her relationship with Marianne (who by this point has become more like a friend than client), but she does not, and later she will regret her choice. 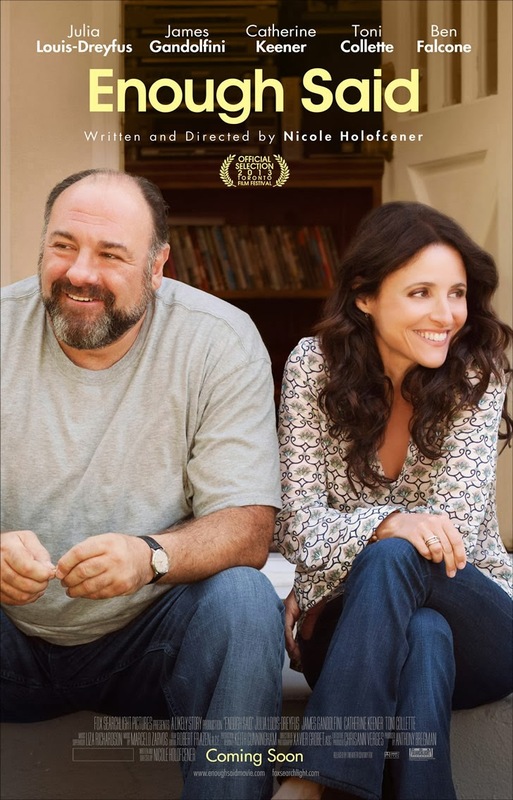 Louis-Dreyfus and Gandolfini have great chemistry together in this film. I'd also say this is more like "an adult romance" movie rather than typical of the genre - both parties are divorced, with 17- or 18-year-old daughters, and they're not looking for something "exciting," but rather something that feels right. I also liked Catherine Keener in this movie, as Albert's ex, a poet who has an immaculate house, and I did like the duo of Collette and Falcone, although I felt that they didn't really add much to the movie. Yes, see this film. 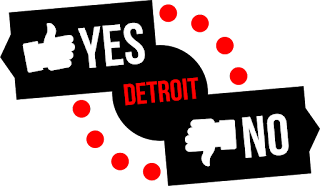 It's been out for a few weeks already in some markets, and it opened in the Detroit area this weekend. I found it to be a bit slow at times, but the story never failed to keep my attention, as I was wondering how the movie was going to end. Fans of Louis-Dreyfus will enjoy this film, and fans of Gandolfini might be surprised to see him in a romantic comedy, but also pleased to see how well he holds his own here among comedy veterans. It is a sad day indeed to realize that we will no longer be seeing his talent on the big, or small, screens. Enough Said is currently playing in theaters, and is rated PG-13 with a runtime of 93 minutes. 3.5 stars out of 5.